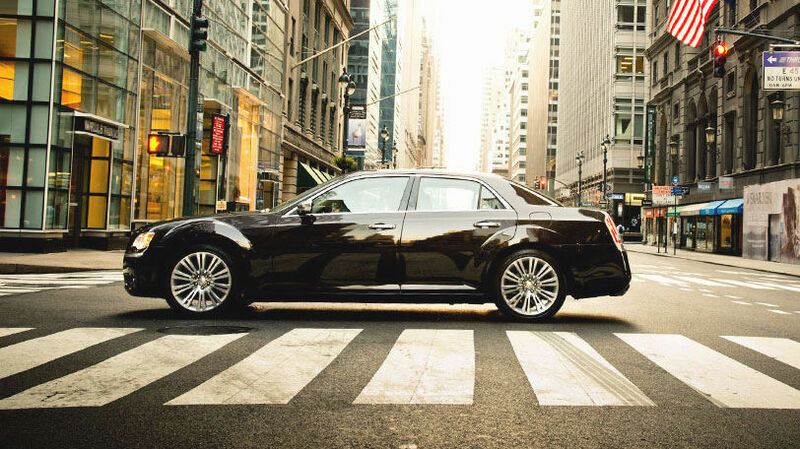 The 2014 Chrysler 300S Review: American luxury cars have traditionally been designed to deliver three things: big size, big power and big style. While Cadillac and Lincoln have been making smaller, sportier and more European-feeling cars in recent years, Chrysler has taken a decidedly different approach with its huge, brash 300 sedan. The 300 is certainly spacious, remaining one of the few cars available with what I would consider a full-size trunk, full-size back seat and bigger-than-full-size V8 available under the hood, which makes it feel like a contrarian at a time when eco-minded austerity is all the rage. That also makes it refreshingly luxurious when ordered in its upscale trim levels. It’s a car that’s unashamed about being opulent, making you feel like a V.I.P. when you step inside the cabin and find yourself surrounded by thick, fragrant leather, expensive-feeling trim materials and impressively tight construction. Having 363 horsepower on tap adds to that V.I.P. feeling, too. As most sedans have switched to smaller displacement, higher-revving, Japanese-style engines to save on gas, the 5.7-liter HEMI V8 in the 300 stands out for delivering over-the-top, in-your-face acceleration like few other cars. Even the base engine, a 3.6-liter V6, is no slouch as it delivers a musclecar like 292 horses. That comes with an obvious downside, though. Gas mileage is rated at 31 mpg on the highway and 19 in the city with the V6 and even worse with the V8. The HEMI gets a rating of 15 city / 25 highway. Fortunately, there is a mileage-related silver lining for people who need all-wheel-drive traction. The AWD version is rated for 27 mpg on the highway, which earns “best in class” bragging rights thanks to a nifty system that disconnects the front axle whenever possible to save on gas. My test car was a rear-wheel-drive 300S, which is the new, sport-oriented model that comes with a firmer suspension, some trendy styling touches and paddle shifters behind the steering wheel to let you have a bit more fun with the transmission. It’s definitely an improvement for drivers who like a faster response in corners and more feedback over the road. The 300S eliminates some of the floaty, squishy feeling that accompanies the ordinary 300 and similar large sedans, giving it a more lively, enjoyable, taut sensation. I also loved my test car’s sound system from Beats by Dr. Dre, the company that makes those pricey, super-popular headphones that professional athletes seem to love wearing in pre-game warm ups. It has a rich, syrupy sound and satisfyingly thumpy bass, with the added benefit of letting you pretend to be LeBron James when the mood strikes you. 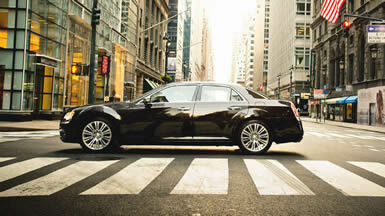 Overall, the 300 remains the standard bearer for people who want spacious, American-style comfort and power. It’s big in every way, from its engine to its cabin to its sharp, outgoing sense of style, which makes it one of the few domestic luxury cars that actually feels like one. Why buy it? With premium trim levels, ample space, lots of high-end options and a tantalizingly powerful V8 available, it appeals to people who love traditional American luxury. The Bottom Line: Chrysler adds the stylish, driver-focused 300S to its lineup in 2014, providing a nice option for people who want a more taut, engaging, driving feel. The 300 Sedan is big in every way and the Premium Chrysler S sedan adds sport-oriented suspension and available Hemi power.